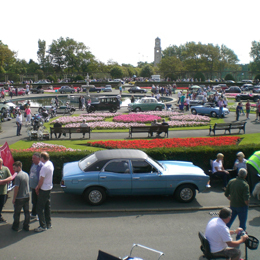 Over recent years we've gone from strength to strength with more members and immensely popular events with hundreds of vehicles on show and huge visitors numbers. 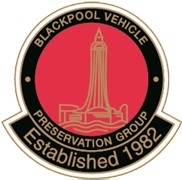 Here at Blackpool Vehicle Preservation Group (BVPG) we are a group of vehicle enthusiasts. 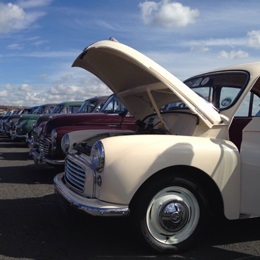 We are not just a classic car club, many of us own vehicles other than cars and some do not own a vehicle but have a keen interest in the motoring world. If you share our interest, please come along to a club meeting or event and meet some friendly, like minded people, click "Latest News & Tweets" for forthcoming events. If you have any questions about our group please do not hesitate to call our Chairman, Bill Swindlehurst on 01772 633369. Keep up to date with the latest news and goings here. You can also follow us on Twitter and share your photos, find us @BlackpoolVPG. Sunday 7th April - We are visiting a large privately owned collection of vintage commecial vehicles and buses, all members are welcome and the event is free of charge. Anyone who wishes to attend, please contact Joan Ducker on 01253 975133 / 07746 490332. Hilary, our newly appointed Meeting Organiser and Publicity Officer, has been busy booking speakers for our monthly meetings, topics include "History of Liverpool" and "Wing Walking on Bi-Planes!". 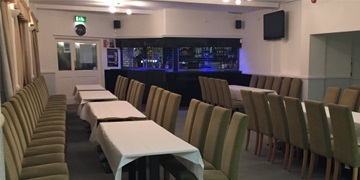 Don't worry if you're not already a member, come along and see what you think, you can always join on the night. Read on to find out more about our monthly meetings and speakers. We hold three shows each year across the Blackpool and Fylde area which are proving more and more popular year on year often hundreds of exhibits on display from 1920s to date such as cars, motorbikes and military vehicles. Guests and club members are invited to exhibit their vehicles at the events. During the shows judges will make their way around all the exhibits and award points, resulting in trophies being presented to the worthy winners. This will be our fourth year holding a show at Jubilee Gardens, Cleveleys and we had a great turn out in 2018! 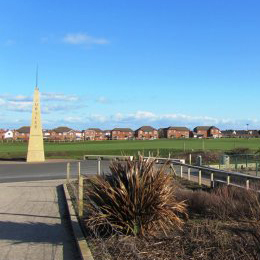 Location: Jubilee Gardens, North Promenade, Cleveleys, FY5 1LW. We return again for another fantastic show in 2019! With over 250 vehicles the show always proves very popular. This event is now fully booked. Location: Italian Gardens at Stanley Park, Blackpool, FY3 9HU. We return to Lytham South Promenade. We've moved due to improvement works taking place at Fairhaven Lake. 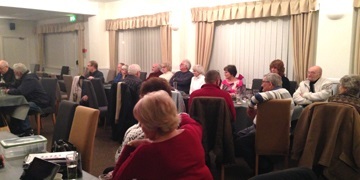 Our thanks go to Fylde Borough Council for the location. Vehicle access will be via the Beach Cafe car park. Location:Lytham South Promenade, FY8 1NP. - your classic vehicle insurer may also offer you a discount if you state you're part of a club (please check with your insurer). Thursday 14th March: Some of us will remember when the RAC man used to salute you!! Roy Pickup will entertain us at this meeting - "Salute the Past RAC". Thursday 11th April: A meeting full of fun (but no April fool)!!! 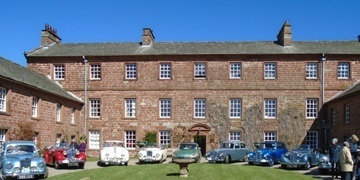 We also have Special Events periodically, with a Concours Night and Landlord's Choice event where prizes are award for the Best Vehicle and a Christmas Party and driving days. Sunday 7th April: We are visiting a large privately owned collection of vintage commecial vehicles and buses, all members are welcome and the event is free of charge. Anyone who wishes to attend, please contact Joan Ducker on 01253 975133 / 07746 490332. Membership costs just £20 per year. If you have a spouse or partner they automatically become a member as part of the £20 fee. If you would like to join, please complete a Membership Form and send it to our Membership Secretary, Joan, together with payment (full details are on the form). 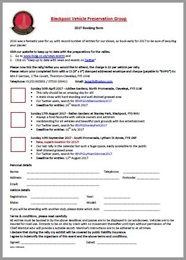 If you have any questions regarding joining our club then please do not hesitate to contact Joan (contact details below).